I’m not sure if the academy mess hall still has raisins for breakfast in the small, one ounce food service boxes, but they did when I was going through school. It was during 1C year that it occurred to me that raisins are dried grapes. As a farm boy from Iowa, I’d had plenty of experience gathering wild grapes from our woods and turning them into a concoction euphemistically called “country wine”. I think you can see where this is going. Raisins were not particularly popular at my table so I had no trouble accumulating about 50 boxes (about three pounds) of raisins. I won’t bother giving the details of turning table raisins into wine but, at one point, sugar and the harvested juice are combined, and then it’s just a matter of sitting back and letting nature do its’ part. And that’s when the trouble started. My “still” was a couple of glass bottles that had the screw-type tops. They had to be kept screwed very tight so that: (a) my room wouldn’t smell like a still, and (b) the bottles would safely fit into my confidential safe laying on their sides. (Where else would you keep a top secret item like this without fear of it being discovered during a room inspection by the company officer?) However, it was extremely important that the pressure building up in the bottles – they were fermenting, you know – was released every day, without fail. I made it a point of routinely doing this right before noon meal formation. One day I was running a tad late, so I decided I’d wait until after the noon meal to open the safe and relieve the pressure in the bottles. In those days only Firsties were allowed to leave the mess hall early – which I did as soon as they gonged the bell. As I was coming down the corridor on my deck I picked up a distinct and aromatic smell. Knowing instantly what it was, I rushed into my room and there, dripping onto the floor, were the remains of my prized concoction. Both bottles had blown. I immediately went into overdrive, racing to the Moke Shack to get a mop, pail and lots of Pinesol. I was able to get the mess – broken bottles and all – cleaned up before the rest of the company returned from noon meal. My one, last concern was turning in the confidential pubs at the end of the year with wine stains all over them. I was, fortunately, able to put the really badly stained pubs at the bottom of the stack and get them turned in without incident. I’ve often wondered what would have happened if I’d gotten caught. At a minimum I suspect I would have “earned” a Black N. And, if the Administration wasn’t particularly taken by my creative and daring initiative, it probably would have been much worse! If there had been a program called “Another Link in the Chain” in 1963, our Reef Points would have contained the history of the Great Class of 1917. Those young men were to witness World War I and the transition beyond ships powered by wind or coal fired steam into combat using submarines and aircraft. The Class of 1917 would never have imagined nuclear powered ships, space travel, computers and advanced satellite communications. They entered a Naval Academy built on the 1896 master plan of world renowned architect Ernest Flagg which situated the buildings as a reflection of the Naval Academy’s mission statement...to develop Midshipmen morally, mentally and physically. Bancroft Hall and its companions Macdonough Hall and Dahlgren Hall were to care for and develop the physical needs. Mahan Hall and wings of Sampson Hall and Maury Hall were to develop the academic and mental capacities. The Naval Academy Chapel, commanding attention on the highest point, was there to develop the moral character of Midshipmen. All three components faced upon Dewey Basin and the Severn River from which Midshipmen would launch their training and careers. The Class of 1917 saw an early graduation in March of that year as the United States declared war on Germany. During 1917, Bancroft Hall would see the addition of two wings to double the size of enrollment as World War I progressed. Fast forward 50 years and the Brigade would increase to 4,400, Bancroft Hall would have eight wings and the Yard would have many new facilities. On a hot, humid, and sunny June 26th in 1963, the Great Class of 1967 took the oath of office on Tecumseh Court. A diverse group of 1,291 young men whose parents’ lives spanned the Great Depression, World War II and the Korean War were challenged to face the familiar constant – change. That year, the first nuclear powered aircraft carrier USS Enterprise was still new; President Kennedy had issued the challenge to reach the moon and safely return; and personal computers were called slide rules. Many changes impacted our 4 years together by the Bay. By 1963, many new facilities had been added to Flagg’s design to strengthen naval, physical and academic training. Michelson and Chauvenet Halls were built during our four year tenure. The brigade was no longer required to march to classes as the academic curriculum became more diverse with elective courses and majors. On Sundays, we continued to march to mandatory Chapel or to church services in town. We observed the constitutional passing of power when the nation was shocked by the assassination of a President. We were privileged to be led by three very dynamic and different Superintendents. The Brigade expanded from 24 to 36 companies. Most significantly, we watched with anticipation as the conflict in Vietnam was changed by an incident at sea from a military advisory role to an air and ground war updated on the nightly television news. While change would continue to be a constant factor, our mutual sense of virtue remained anchored in the Naval Academy values of Honor, Courage and Commitment embodied in Ernest Flagg's vision. At graduation, classmates headed out to careers of service. Most selected unrestricted Navy line billets, a few selected restricted duty, 86 chose the Marines, and 6 went on to become SEALs in the early days of Special Operations. During the ensuing conflicts, 6 Silver Stars for valor were awarded as well as numerous Air Medals, Distinguished Service Medals and Purple Hearts. The Vietnam War claimed 9 classmates and 1 POW held in the Hanoi Hilton. Their memory is kept alive in Memorial Hall. The mid-1970s were times of cutbacks and oil crises which impacted many of our career decisions. Some classmates opted for continuing to serve with the reserve forces. Many more moved into civilian careers or roles in government. All were to find value in their leadership and character development received at USNA. As the years passed, like all classes before and after the Great Class of 1967, there were individuals who would rise to high levels of leadership in the Navy and Marine Corps, our nation and our culture. These included a Chairman of the Joint Chiefs of Staff; a Deputy Commandant of the Marine Corps; a Commander of Strategic Command; a Commander of the Atlantic Fleet; the 30th Superintendent of the US Naval Academy; and 14 other flag officers. Two Naval Aviators, one Navy and one a Marine, became NASA astronauts. In federal government, classmates served as a Deputy Secretary of State, and a Secretary of Veteran Affairs. Many went on to careers of service as doctors, lawyers, clergy, corporate CEOs, FBI agents, authors, appointed and elected officials.  The Naval Academy recognized three classmates for its Distinguished Graduate Award. Perennially, the Class of 1967 has been proud to support the institution which gave us such great opportunities with generous gifts to both the Alumni Association and Foundation and the Naval Academy Athletic Association through funding of strategic needs in facilities, programs and athletics. We have participated in several large fundraising campaigns building Navy – Marine Corps Memorial Stadium facilities, the Visitors Center, Alumni Hall, and the Stockdale Center for Ethics. Fifty years from now the Class of 2017 will forge a link across half a century of change. The more the change, the greater the need will be for well prepared leadership.